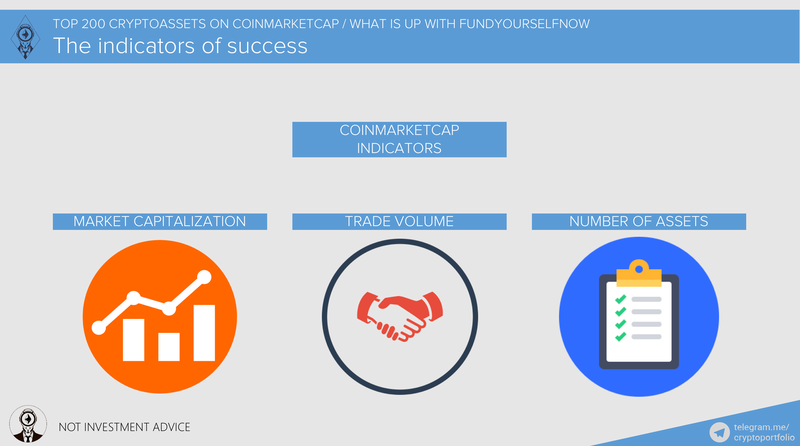 What are the main indicators of success for cryptocurrency right now? 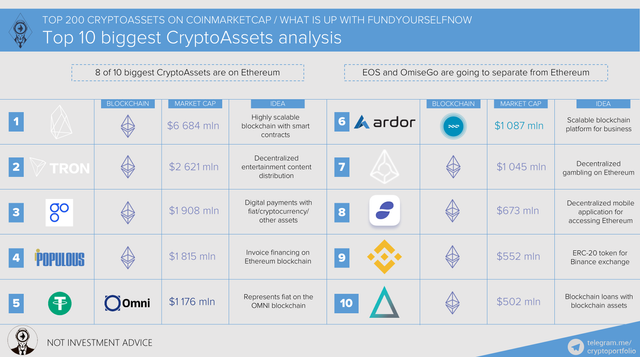 The ones which are available for us on coinmarketcap. First one is market capitalization. It includes price multiplied by the quantity of certain cryptocurrency. It shows us how promising or successful project is as a whole. Second is trade volume. Basically, is shows how popular given coin among traders. It so happens that some coins have bigger trade volume but, at the same time, are less valued than the ones which have bigger capitalizations. Third is number of assets. Some cryptocurrencies are also platforms for other cryptoassets and the number of hosted coins does matter. 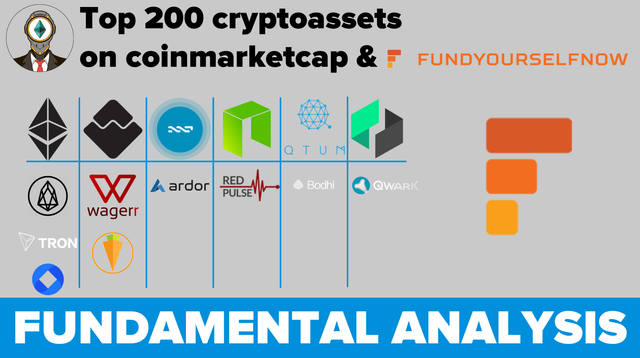 Today we are going to thoroughly analyze the 200 most popular cryptoassets. 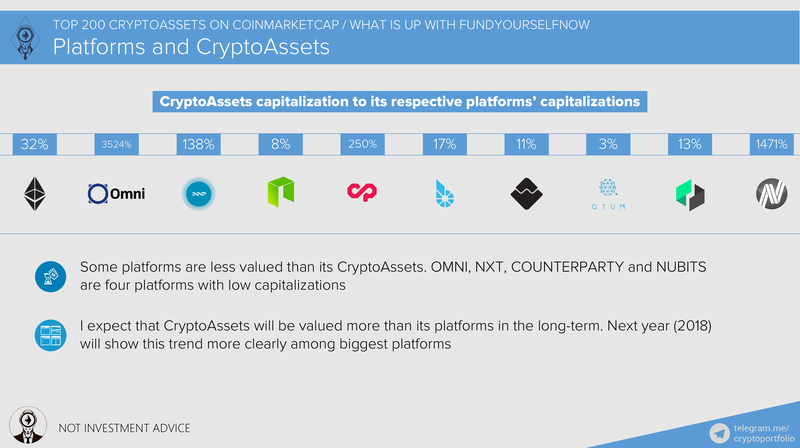 On the right part of the slide you can see the platforms (cryptocurrencies that host other tokens) with the biggest cryptoassets in terms of market capitalization. What can we take from this pie chart? We are now moving to the trade volume of tokens. 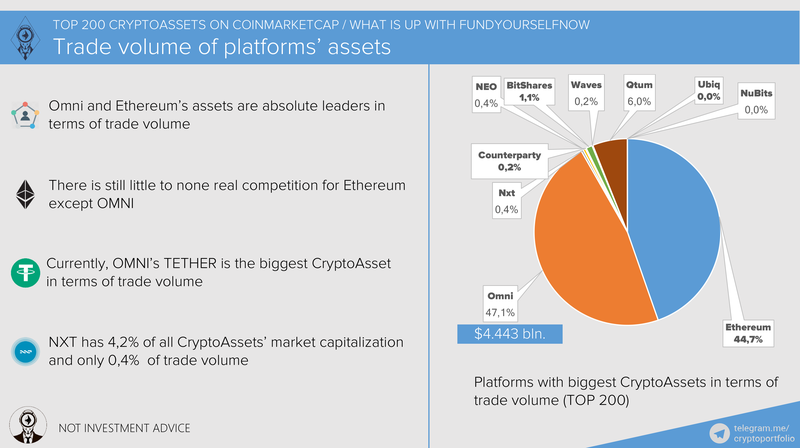 On the right part of the slide, there is a pie chart which shows the platforms with the biggest cryptoassets in terms of trade volume. As you can see, the results are quite surprising. What can we take out of this? 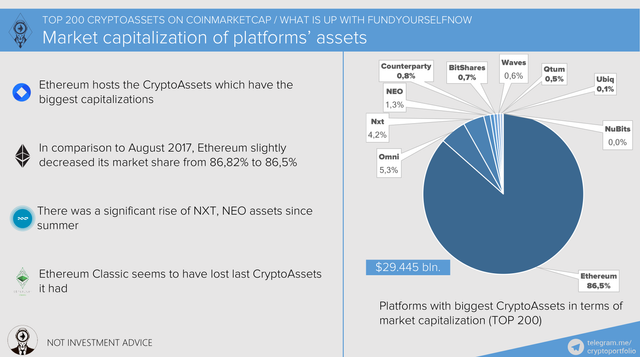 On this slide, I showed CryptoAssets capitalization to its respective platforms’ capitalizations. 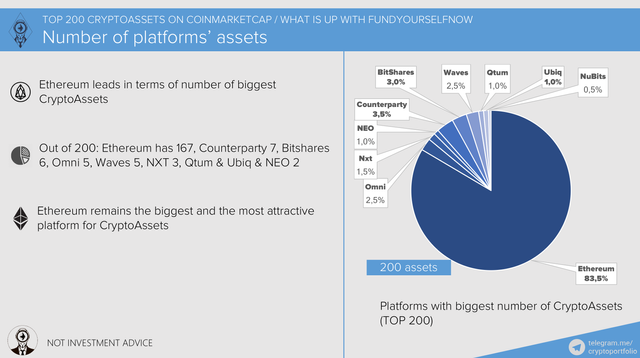 As you can see, some assets are valued significantly more than its platforms. OMNI is the best example. Well, what can we say generally about those numbers? Let’s now talk about one of my favourite projects in this space. I supported this project pre-ICO and I am going to support it post-ICO. Fundyourselfnow, ladies and gentlemen. I want to cover the latest news and tell you the general facts about it. The latest news is very exciting because the first big Vietnamese cryptocurrency exchange was recently launched with the help of local banks and FYN tokens will be the first to get listing there. 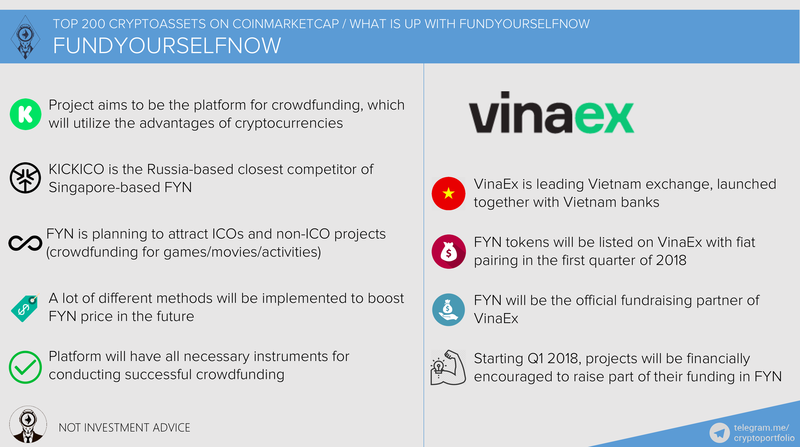 FYNs will be listed on VinaEx in the first quarter of 2018 with fiat pairing (VND and USD). FYN will be the official fundraising partner of VinaEx exchange. Good Video, I really liked this kind of overview! Good work, a reminder why Ethereum is the real market leader. Let's keep an eye on Charles and the team at Cardano, they are about to take a claim near the top in market cap. Excellent review on all the top coins. This post deserves more upvotes.